I am over a month into living gluten free and so far so good. I have found myself in ruts a few times and eating the same thing over and over but i’m still learning. I can say one thing that has surprised me is that I don’t miss eating pasta at all. I have eaten spaghetti squash in place of spaghetti for a while now and recently made lasagna with sliced eggplant instead of noodles. 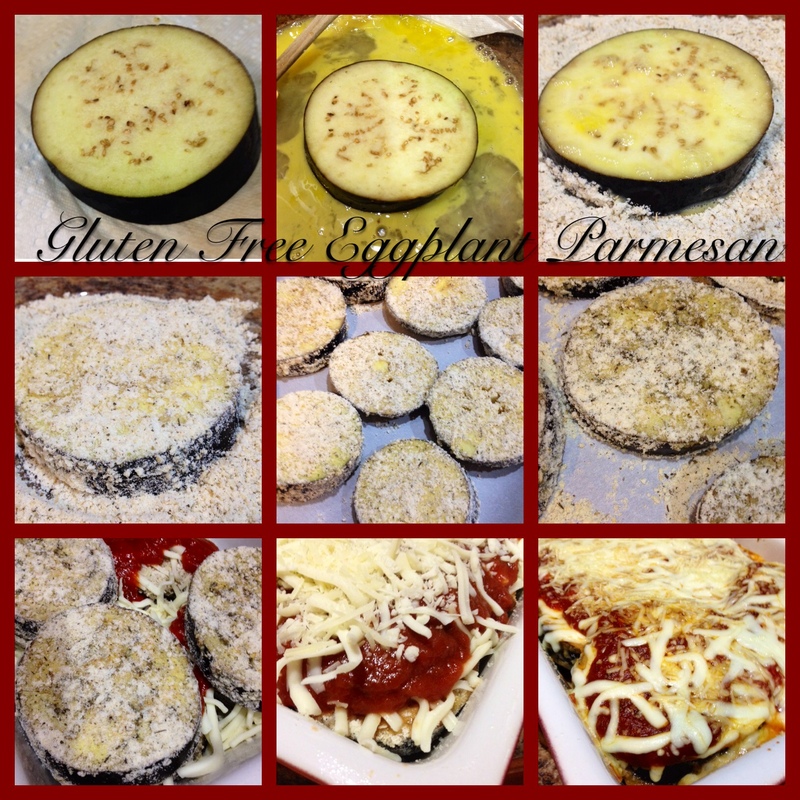 Seeing how well the eggplant lasagna turned out I decided to finally try eggplant parmesan but I made it gluten free and a bit healthier by baking the eggplant instead of frying it. It is now one of my favorite dishes! 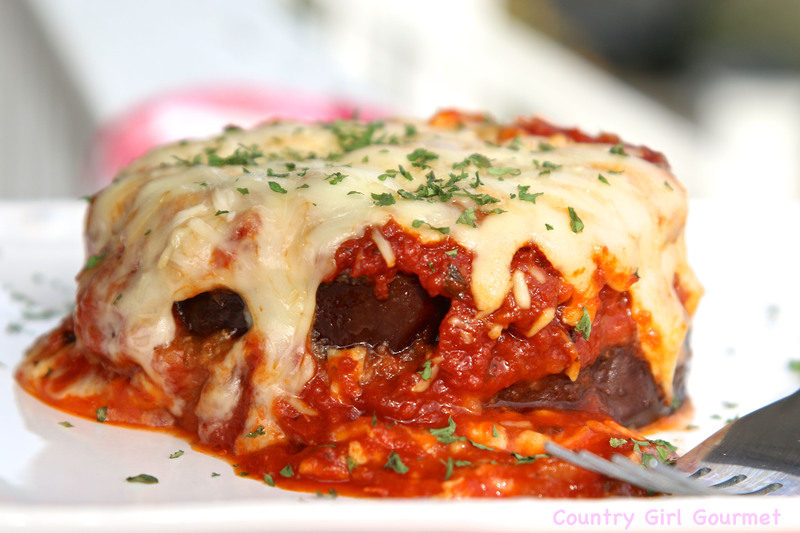 Eggplant Parmesan is definitely worth the work of preparing the eggplant. It is a great meatless meal too! 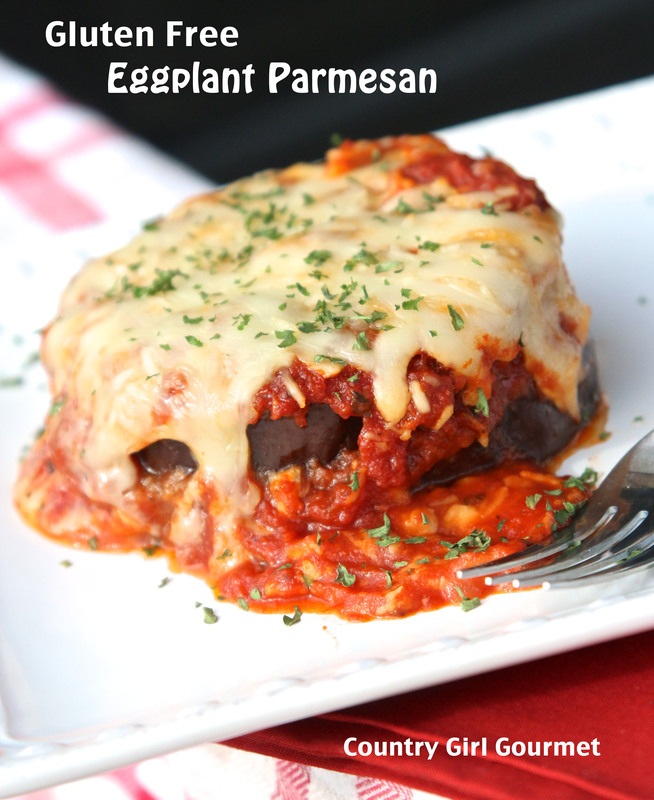 Eggplant Parmesan is a great and filling meal by itself or you can add quinoa spaghetti or a nice salad to round out your meal. 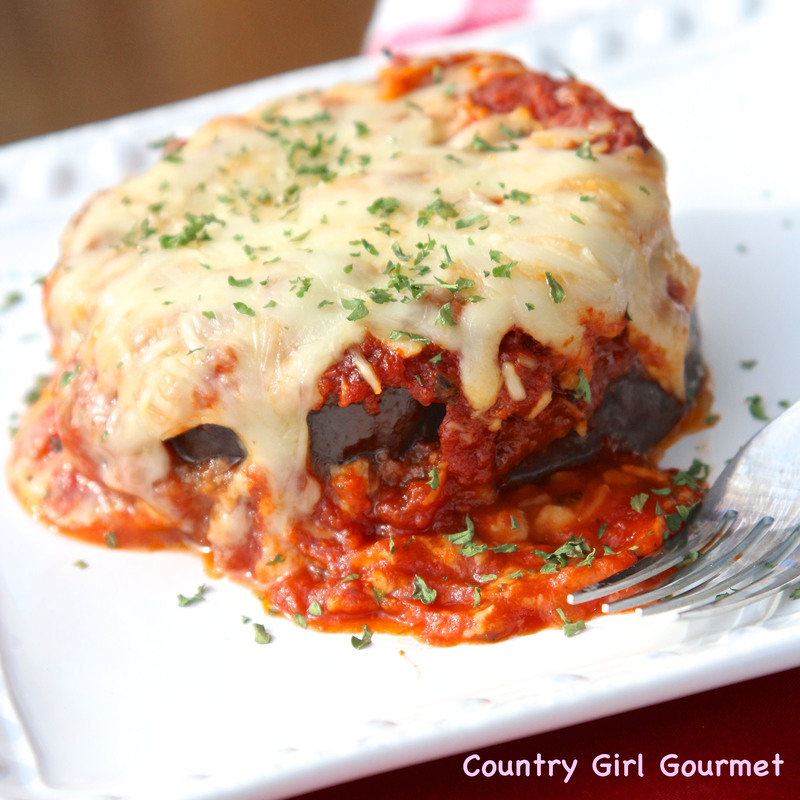 Place eggplant slices in a colander; sprinkle both sides of each slice with salt. Let eggplant sweatt for 30 minutes. Wipe moisture from eggplant slices with paper towels. Mix cracker crumbs, gluten free flour and italian seasoning in a bowl. Dip eggplant slices in beaten egg, next coat with cracker crumb mix. Place eggplant slices in a single layer on the prepared cookie sheet. Bake in the preheated oven until lightly golden and crisp, 10 minutes per side. Cover the bottom of a greased 9x13-inch casserole dish with spaghetti sauce. Next add a layer of eggplant slices. Sprinkle with Parmesan cheese and mozzarella cheese. Lastly, add spaghetti sauce. Repeat layers. After final sauce layer cover with more cheese. Bake uncovered 30 minutes until cheese is melted and bubbly.